On this week's podcast I chat with Michael Briggs from the Australian Rugby Union about how they engage Wallabies fans using social and digital. On ABC Grandstand I chat with Francis Leach about current stadium fan engagement debate between Vivek Ranadive and Mark Cuban. Looking to improve your skills in social media? Come along to our Sports Geek Social Media One Day Educational on March 31st listen to podcast for promo code ($50 off). Should fans use smartphones in stadiums? Ep #41 dedicated to Dirk Nowitski from Dallas Mavericks. I was lucky enough to see him score his 20,000th NBA point. Congrats to our client South Sydney Rabbitohs becoming the 4th NRL team to break through the 200,000 Facebook Like milestone, we remember when they were just 25,000 a few years ago. See you at Sports Geek One Day Educational Social Media Workshop? Learn how your business, brand or team can use social media to drive business results. 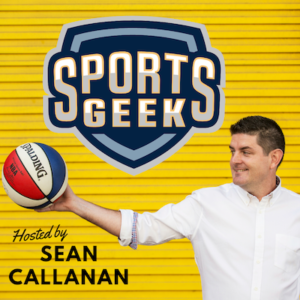 Find out how I used social media to build Sports Geek and what I teach sports teams to engage fans and sell memberships and tickets. Listen to podcast for $50 discount promo code.